I received a call from Kiowa (my Air Force daughter) one afternoon, which is not unusual in itself, but she had an interesting story to tell me. She lives about 40 minutes from her base and along her route there is an intersection with stop signs that Semi’s don’t like to stop for. She had told me this before when I visited in May and had added that there are many wrecks due to the Semi’s running the signs and hitting other vehicles. She continued to tell me that on her way to work that morning, she realized that she had forgotten her rain gear and it was supposed to rain. She works outside and rain gear is a must. She was already half way to work, but turned around and headed back home. On her way back to work, as she approached the above intersection she realized that there had been an accident and clean-up was underway. A Semi had hit another car. She did the calculations in timing and realized that had she not gone back, that it could have been her. She drives a small Mazda Miata. Her little 2-seat sports car would not have fared well if it had been hit by a Semi. She said the other car was a larger vehicle and everyone was okay. Be Patient– God won’t always tell us why we are being inconvenienced. He expects us to trust Him and be patient. Our inconveniences may not always be to save us from harm. God may be putting us in a position to minister to someone else. God may be using us to save someone else’s life. There is always a reason for wild goose chases. Be patient when God sends you on one and look around you to see if there is someone who needs a helping hand or simply an encouraging word. Be Obedient– If Kiowa had not been obedient to the leading of the Holy Spirit, this story could have ended much differently. I thank God for keeping her safe! We need to be obedient in ALL situations. We may never know when God is saving our life or someone else’s life, but when the Holy Spirit starts to lead us down an inconvenient path, Be obedient. 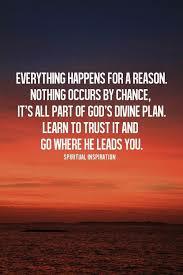 God knows exactly what He is doing and sees everything that is going on. Trust Him! He may be saving our life or using us to save a life. Either way, we need to trust that He is in control and be obedient to that nudging of the Holy Spirit. I learned from Kiowa’s experience. I am not always patient when God sends me back for something I forgot or something comes up at an inconvenient time. I have a tendency to whine and complain. I need to be more like Kiowa. She saw God in the situation. She was able to see the bigger picture.